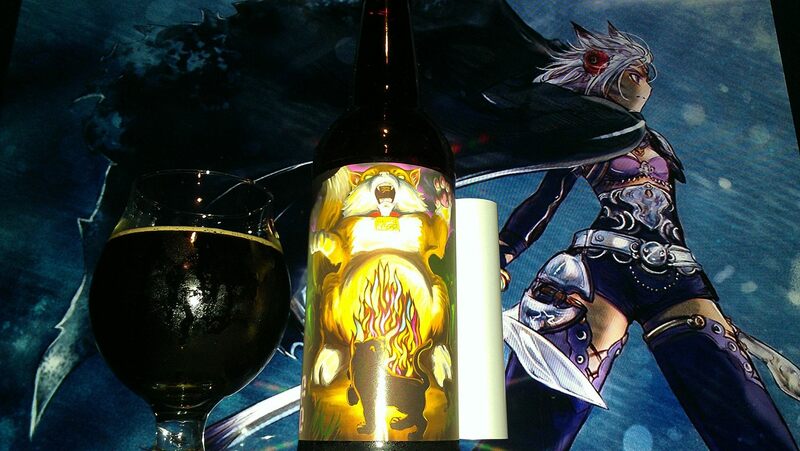 Pirate Bomb by Prairie Artisan Ales is a 14% ABV World Class Imperial Stout aged in Rum Barrels with coffee,cacao nibs, vanilla beans and chilies added. 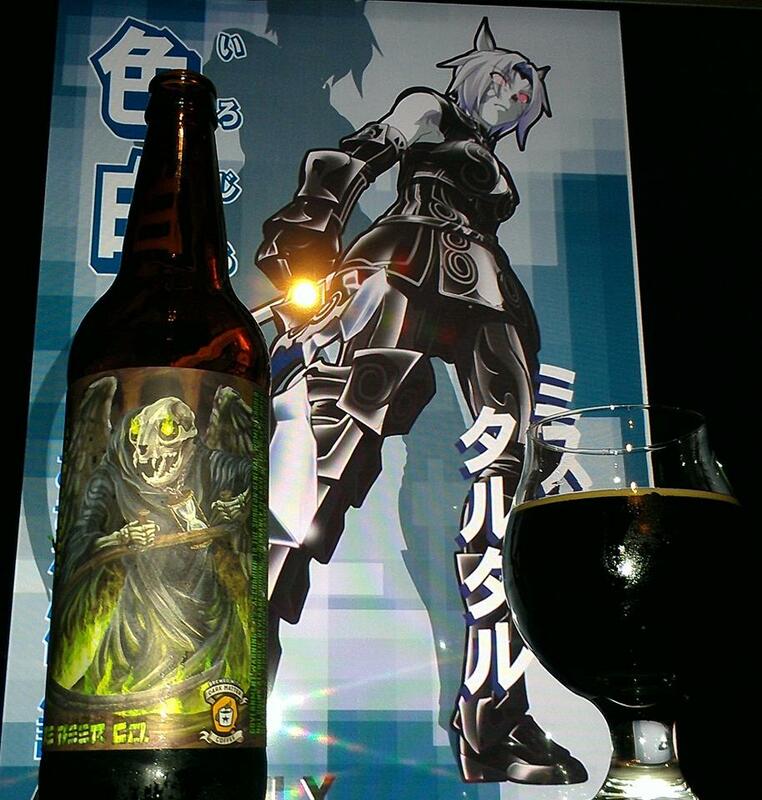 An awesome exclusive hard to get beer which was only possible thanks to Aaron Mendiola at www.beermetaldude.com . Prairie has come a long way to become many whale hunters’ favorite beers. They have been producing some magical bottles that we don’t see here much in California. Mainly since they are sold out quick but even at these tiny bottles, they are very coveted. I can only say I am thankful for my friend who has access to these living in Texas. So let’s see what the fuss is all about and walk the plank with this one. Extremely fancy coffee, vanilla, mocha, dulce de leche caramel, Khalua Liqueur, sweetened condensed milk, Rum notes, bourbon notes, Crème brulee, marshmallows, graham crackers, oreo cookies and cream, banana notes, toasted coconut hints, ancho and guajillo chile spices, bakers chocolate, dark chocolate, chocolate abuelita, brown sugar, Mexican Mole Spices, dark fruit raisins, cherries, and pineapple hints. Rich flan, crème brulee, rich mocha, rich frappuccino, really fancy coffee, Khalua coffee liqueur, vanilla, dulce de leche caramel, sweetened condensed milk, marshmallows, graham crackers, oreo cookies and cream, rum, bourbon notes, bananas, plantains, toasted coconut, ancho and guajillo chiles, cantaloupe hints, rocky road ice cream, chai tea, dragon fruit hints,old mango, hazelnut nectar, pumpkin spice hints, brown sugar, chocolate abuelita, dark chocolate, milk chocolate, bakers chocolate, German chocolate, chocolate truffles, dark fruit raisins, currants, figs, prunes, anise, mint chocolate, dark cherries, pineapple hints, Mexican mole sauce, rock candy and candi sugar. Rich fancy coffee, mole sauce, dark fruit, vanilla, caramel, rum, tropical fruit notes, bananas, plantains, almond joy, flan and earthy notes. 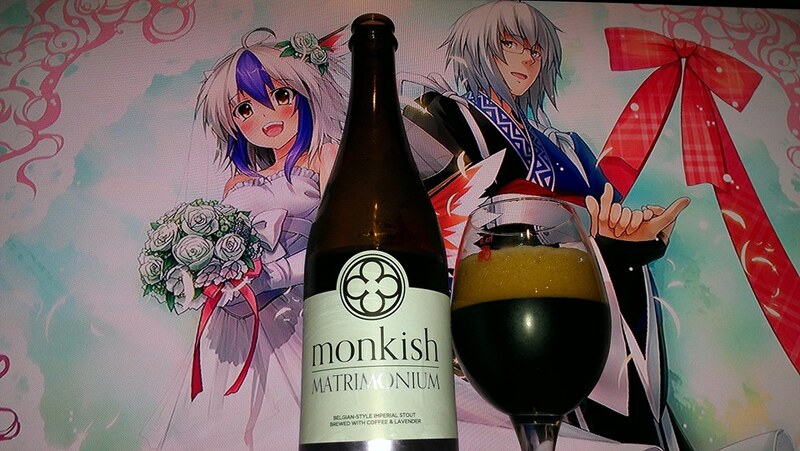 No alcohol in the taste despite the 14% ABV, Ridiculously smooth and creamy mouthfeel, Easy to drink despite the strong ABV and super pitch dark body. 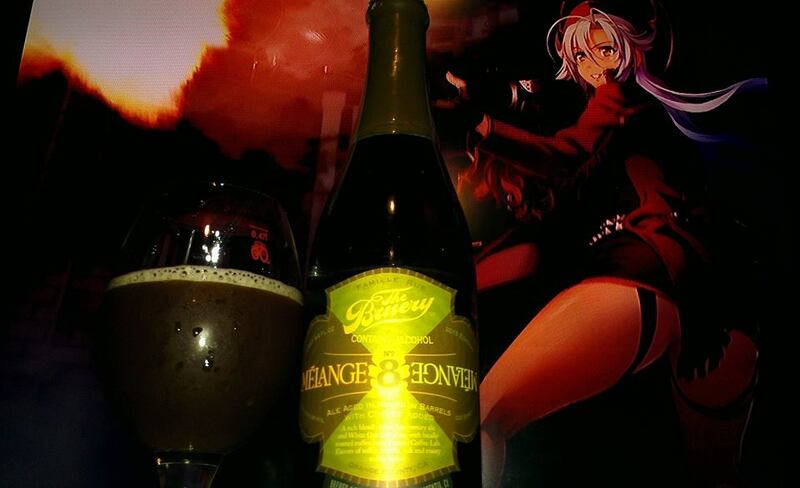 This is truly an awesome and super exceptional brew. There is a tremendous amount of complexity for such a little magic bottle. The label with the crystal ball just hinting at possible pirate Deep 7 seas magic. It surely looks like it came from the darks part of the sea. Also, this is not hot but the spiciness works well with this one. There is only enough to let you know its partially a chile beer. This is definitely outstanding and I highly recommend it if you can find this one. 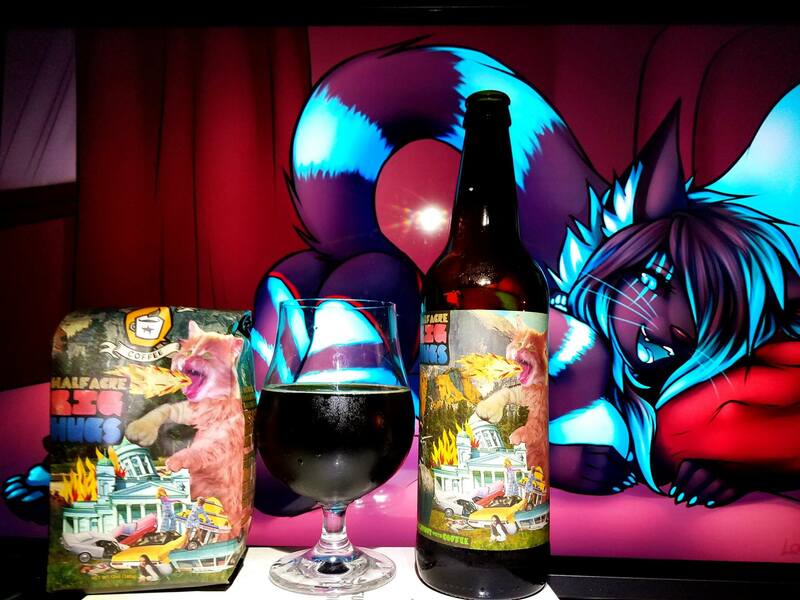 Original Pirate girl character was used in this pairing to pair with the beer was the best choice as I wanted to show the colors of vanilla, chocolate, coffee, dark fruits and other flavors. She is also a pirate so it fit perfectly. The fact that this one is more of a guilty pleasure and smooth fits with how she stares into your soul! 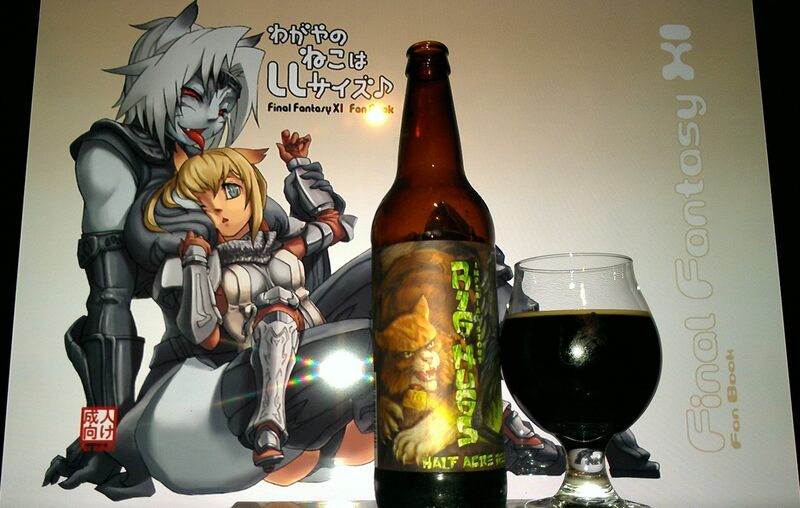 This beer goes into your soul too. It is damn good. 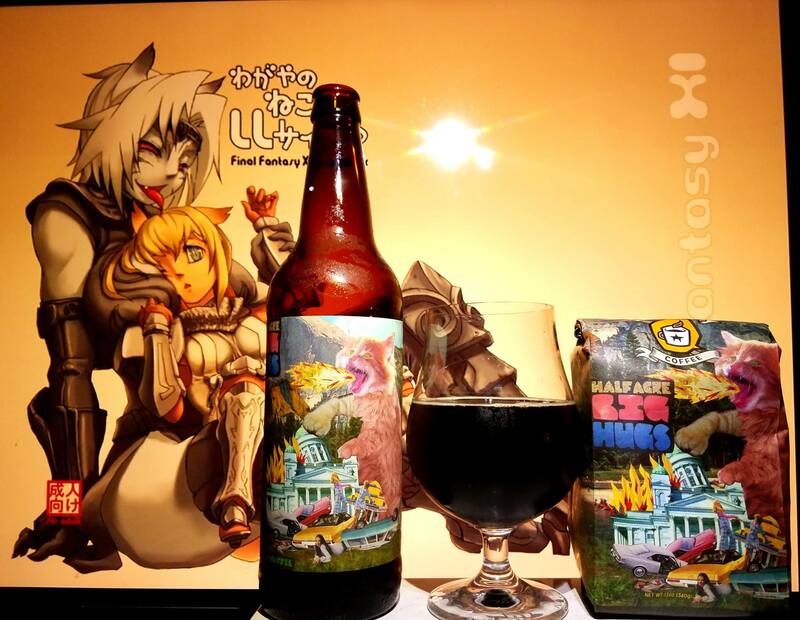 Bourbon Coffee Porter by Smog City brewing is a 7.5% ABV Imperial Coffee Porter Aged in Heaven Hill, Jack Daniels and Four Roses Barrels. 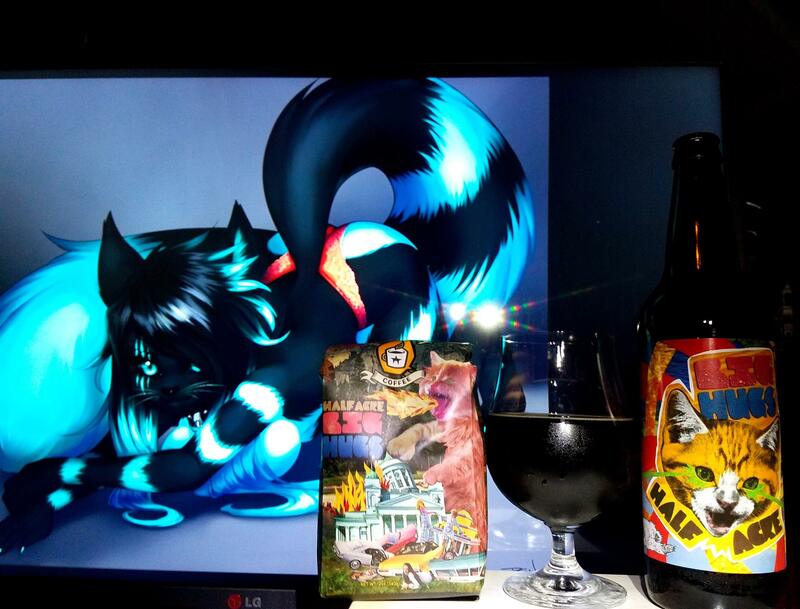 Coffee Porter aged in bourbon barrels. 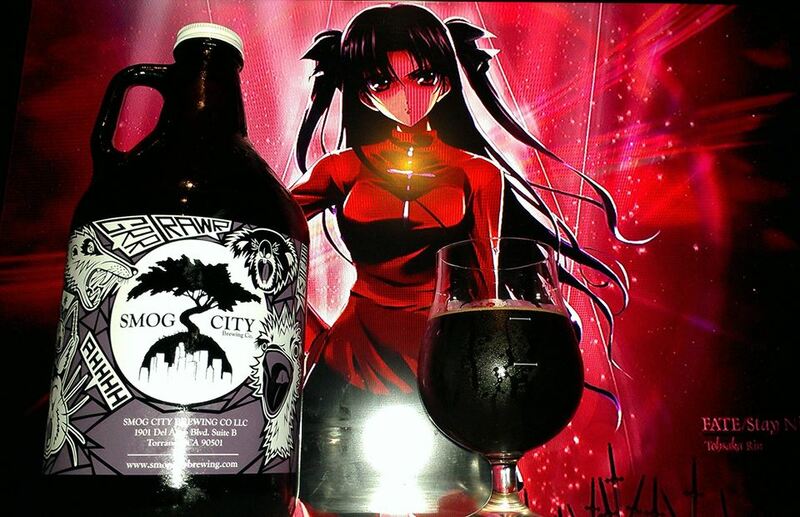 Got this beer on tap at the local brewery, Smog City in Torrance California near work. They only have this for a limited amount of time. The original beer was something very special. 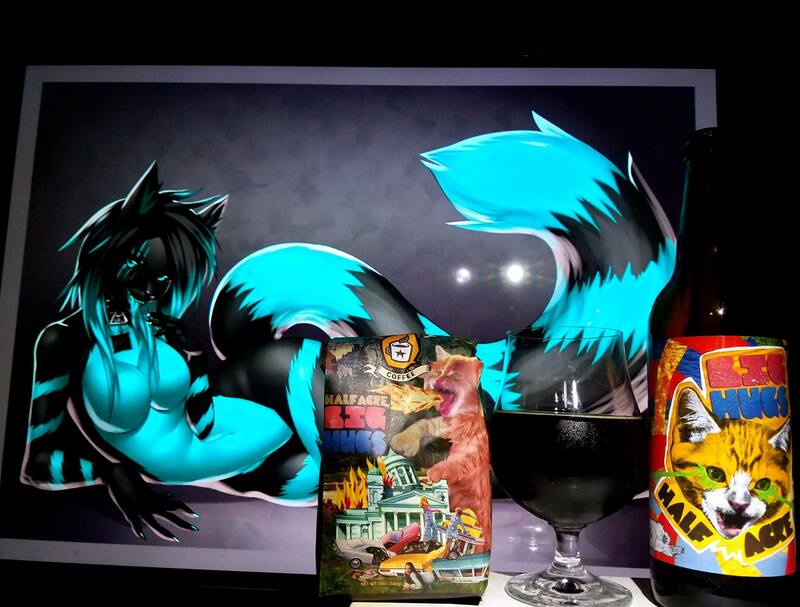 A coffee porter that straight out tasted like really fancy coffee was one of the first beers I tried from Smog City. It isn’t often I bring a growler home, but when I heard they were releasing this one to the public and growler even, I definitely had to sign up for sure. 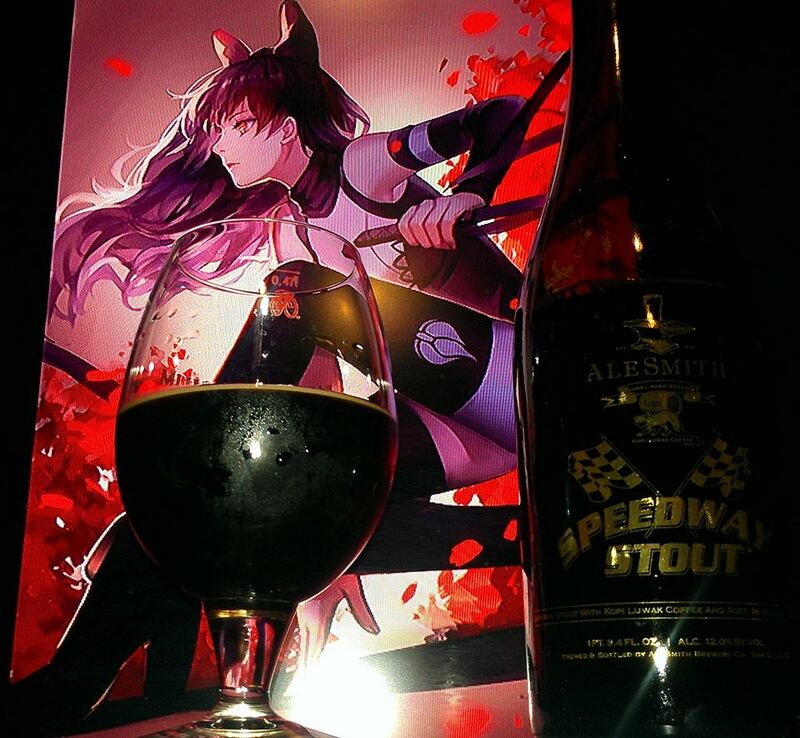 So if they ever release a bottle or you are ever in the Torrance area, stop by and try some of this before it is gone!! So for now, I will bring this forth and let you know how it is. 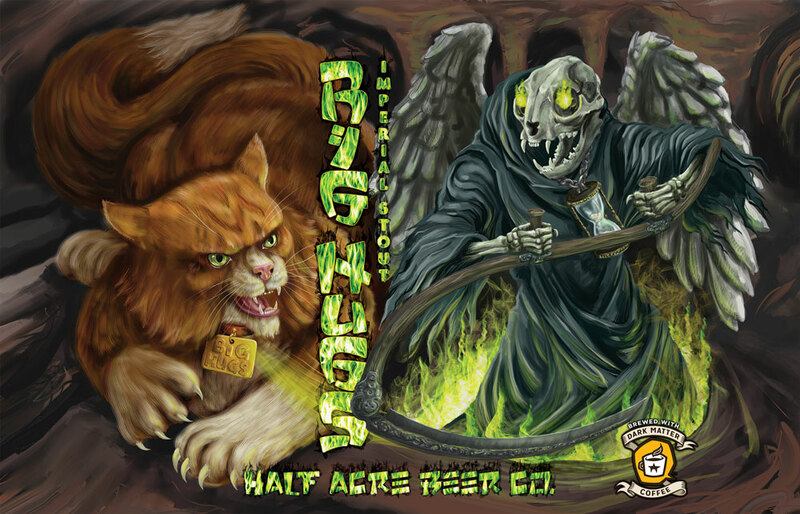 Definitely support local breweries wherever you are from and cheers!! Really fancy coffee, mocha, Kahlua, java, bourbon, oak, floral notes, marshmallows, milk chocolate, dark chocolate, vanilla, caramel, fudge brownies, Irish cream, fudge cake, dark fruits like raisins, plums, dark cherries, currants, hazelnut, pecan pie, maple syrup, earthy notes, milk sugar, cinnamon, rye bread, brown sugar, hints of plantain, clove spice and banana. Rich fancy mocha coffee, java, frappuccino, bourbon, oak notes, Floral notes, marshmallows, dark chocolate, milk chocolate, fudge brownies, marshmallow, vanilla, caramel, Irish cream, fudge cake, dark cherries, dark fruit raisins, plums, currants, hazelnut, banana hints, clove spice, plantain, pecan pie, earthy notes, maple syrup, molasses, whiskey hints, coconut hints, rye bread, toffee, flan hints, anise, mint and milk sugar. Coffee, mocha, caramel, vanilla, banana hints, dark chocolate and earthy notes. 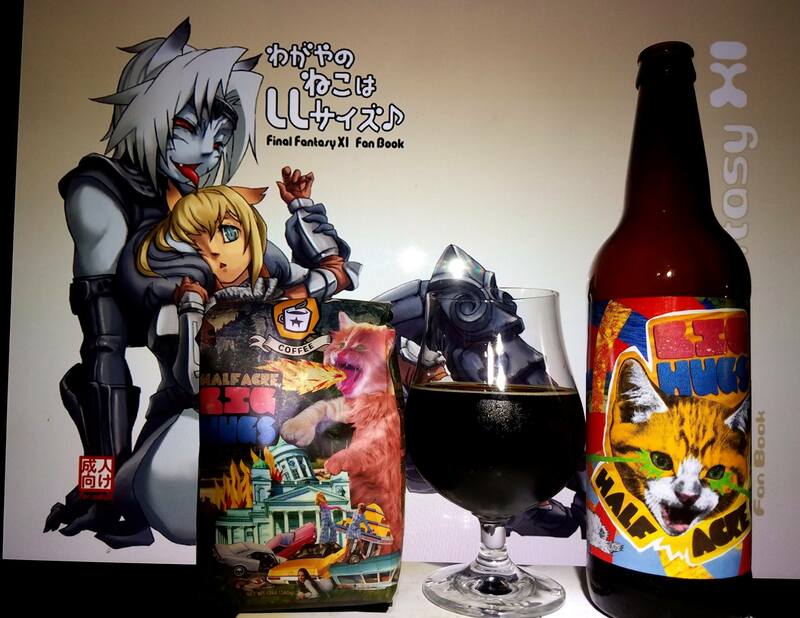 No alcohol in the taste, smooth drinkability, full body appearance, velvety mouth feel. Loved this one a lot. 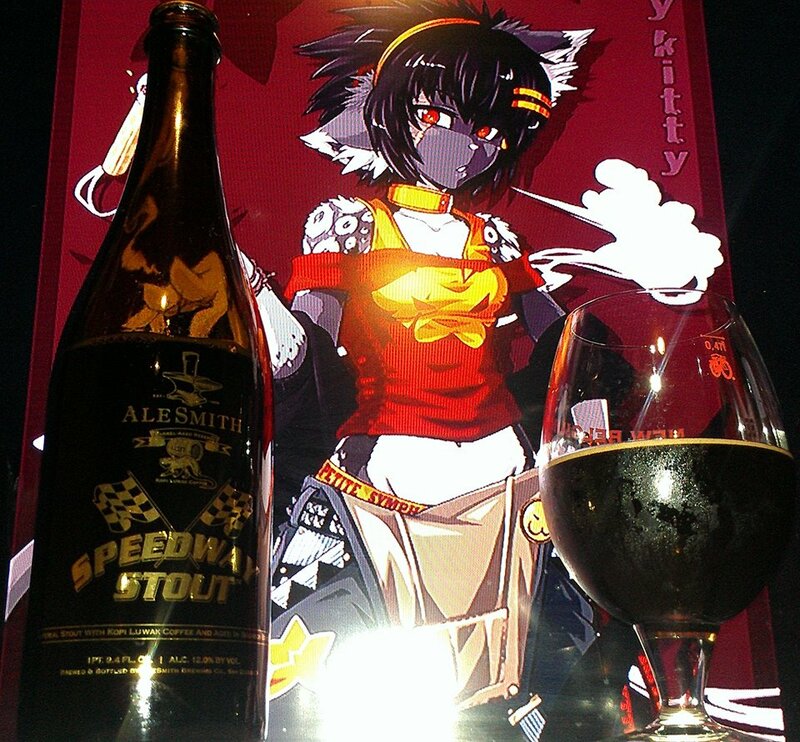 Even more complex than the original fancy coffee porter. 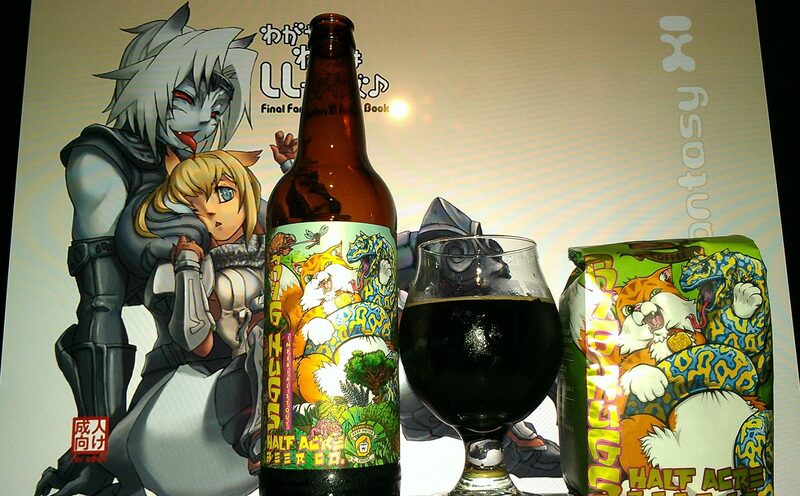 No joke, not only does their porter taste like a cup of Joe, this takes it to the next level of complexity. 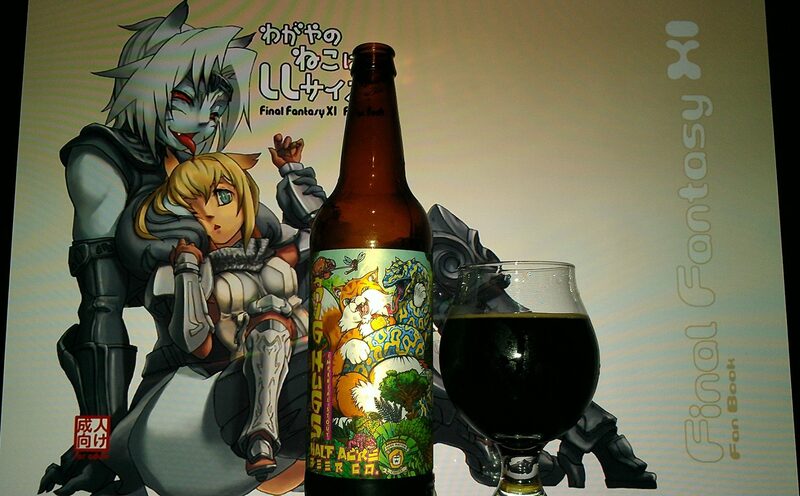 While it may not be the best coffee beer ever, this is definitely exceeding my expectations even if by a quarter. 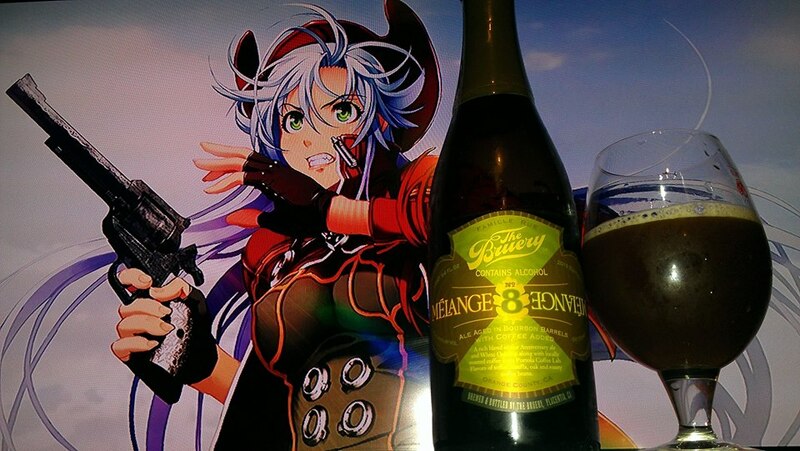 They did an exceptional job and just the fact that they had it in growler was definitely worth not missing this one. Oh YES!! this one was not worth missing. So like I said before, if you are in town, go get this one for sure, I highly recommend it! 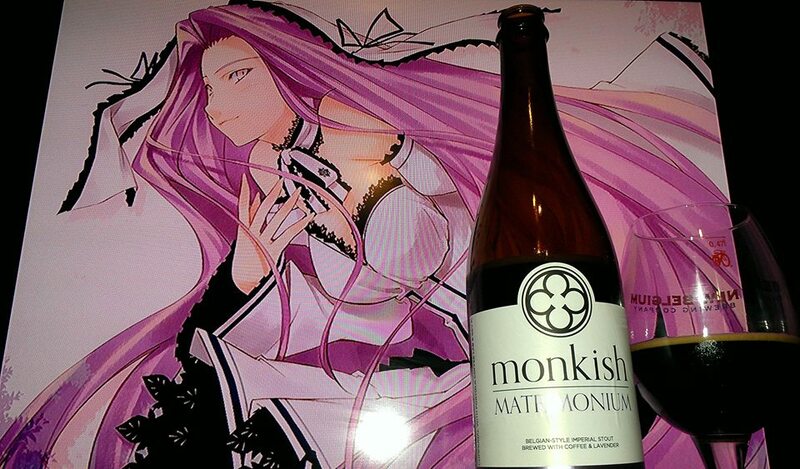 Rin Tohsaka from Fate Stay Night/Zero was chosen for this review because I wanted to pair some of the coffee and bourbon flavors with the colors of the artwork. 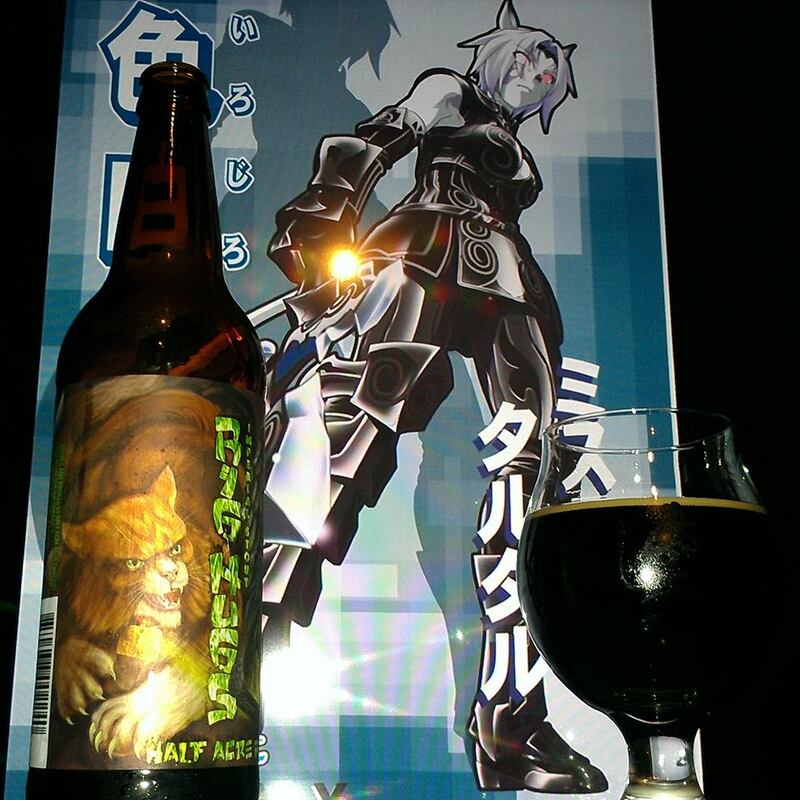 I have another version of Rin but I will most likely use that one for the original beer, which is very awesome. 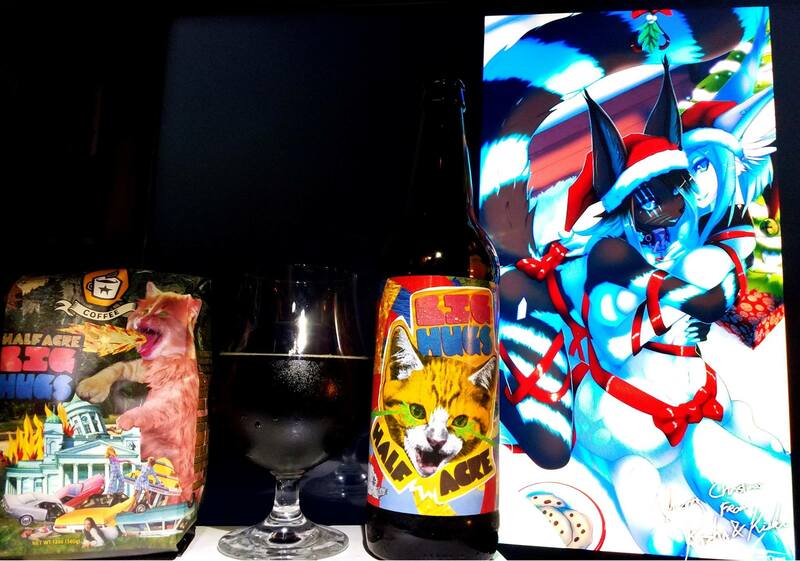 This beer is exceptional for what it is and the flavors like in the artwork like the red and brown for cherry and coffee and the brown for bourbon definitely are revealed in this one. Especially in the deep crimson eyes which show some complexity. 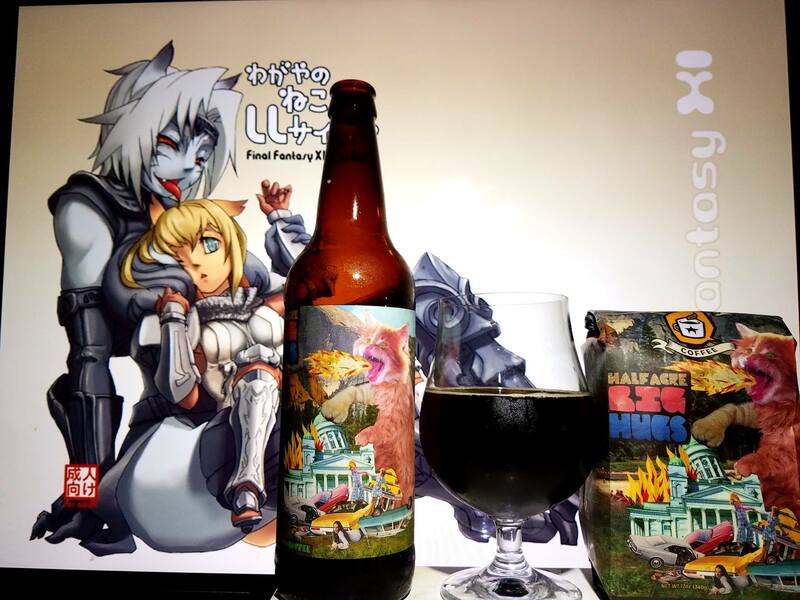 2013 Bourbon County Brand Coffee Stout by Goose Island is a 13.4% ABV World Class Imperial Stout brewed with Los Inmortales Intelligentsia Coffee beans and aged in bourbon barrels. Everyday Goose Island smells the wonderful coffee roasting next to our brewery at Chicago’s Intelligentsia Coffee and Tea. This world class roaster puts the same passion and skill into their coffee as Goose Island does with its beer. 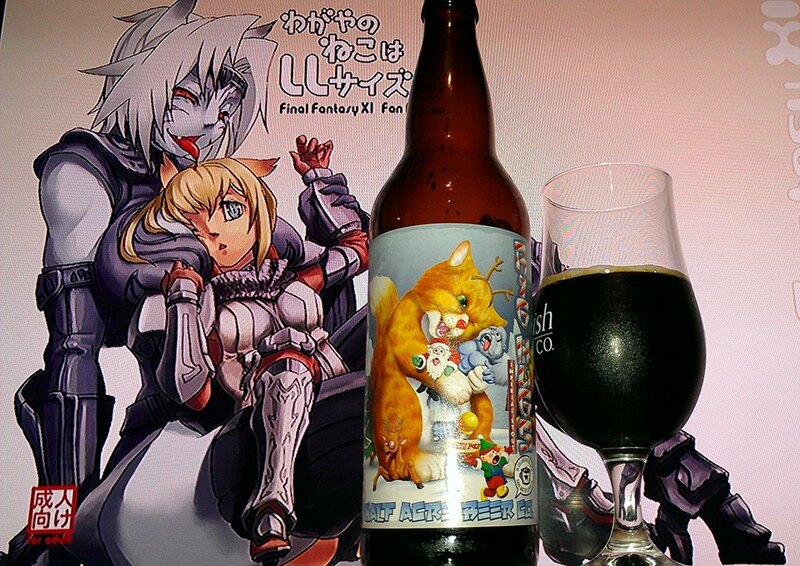 This excellent stout is made with a different coffee from our friends next door each year. With the change in coffee comes a change in the flavor profile, making each release truly unique from the previous years. The 4th and possibly the better variety of the Bourbon county series I try. It is also Beer advocate’s number 4 best in the world. 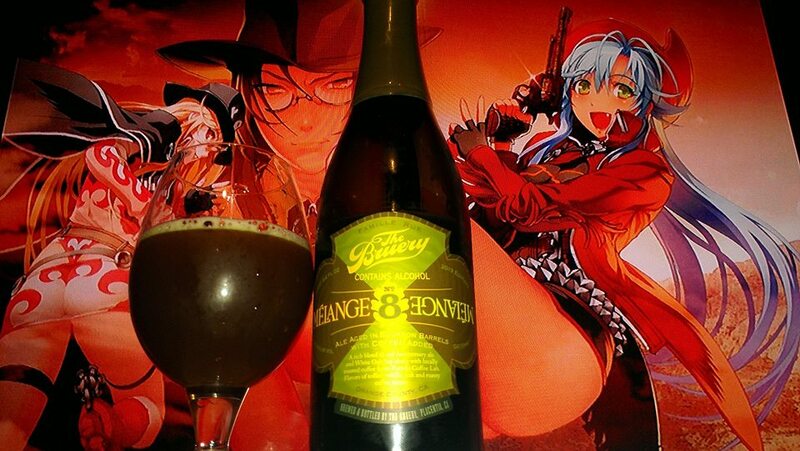 Like many beers, this one is coveted as well and released on Black Friday. If you want to get this one, you will have to trade or find it online. Either way, just like the other Bourbon Counties, they are a must try, even if once. Very fancy coffee, mocha, espresso, roasted coffee beans, dark chocolate, vanilla, Irish cream, earthy notes, bourbon hints, dark fruits, chocolate coffee cake, mocha rocky road ice cream, oak, marshmallows and cinnamon. 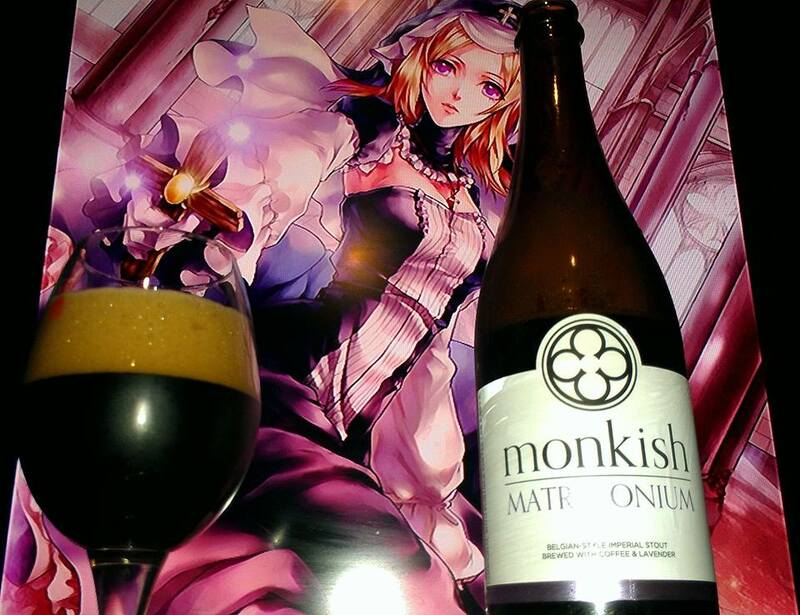 Lingering to the finish is that very fancy coffee, mocha, vanilla, oak, bourbon, chocolate and dark fruit character. Not as much heat as the original and like the original, no alcohol in the taste. A definitely dangerous sipper but by that I mean, it is just like a fresh cup of coffee in the morning or frappuccino. Smooth! Exquisitely world class, just like its brethren. I think what really makes it this far is the coffee. 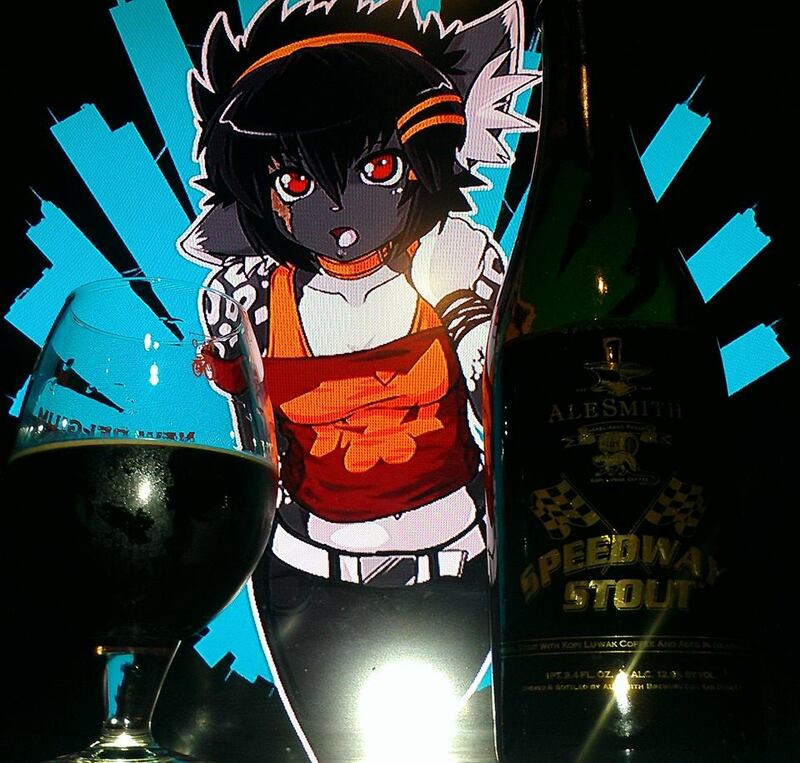 This may be the 4th best beer in the world but, personally for me though, the Alesmith Bourbon Barrel Aged Kopi Luwak was the best overall coffee beer ever. This one, just like that one, is damn good and should not be missed if you are a fan of the series. Donne Anonime from the Tre Donne Crudeli “Outlaw” Django was used in this pairing to represent the colors of the label, the old west for the Bourbon County aspect of it and the Los Inmortales coffee. 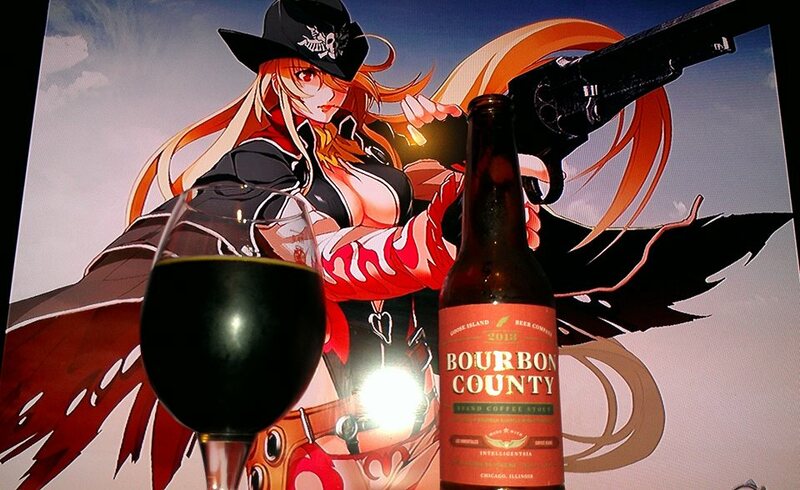 The way I saw it was like the previous Bourbon County’s using cow girls and the old west. Los Inmortales could be seen by the cowboy hat, the life beyond death is immortal. Her name is “the Stranger”, she comes from places unknown and just like a thief in the night, she comes to swoop up that world class spot.